3. 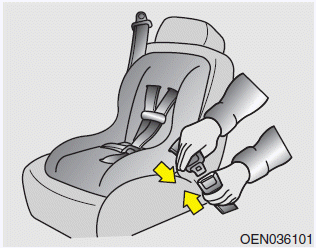 Buckle the seat belt and allow the seat belt to take up any slack. 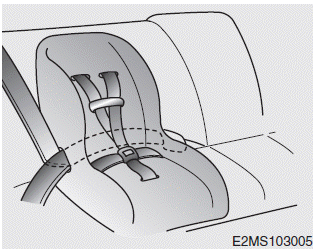 After installation of the child restraint system, try to move it in all directions to be sure the child restraint system is securely installed. If you need to tighten the belt, pull more webbing toward the retractor. 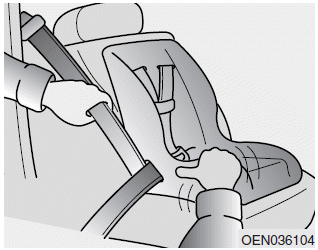 When you unbuckle the seat belt and allow it to retract, the retractor will automatically revert back to its normal seated passenger emergency locking usage condition.